, we launched Google Cloud Print, a service that enables users to print from any device, operating system, or browser to any printer without the need for drivers or a PC connection. 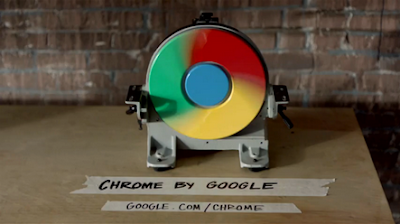 The service can be used with any printer, but the most seamless experience is offered by Google Cloud Print Ready devices, a new generation of web-connected printers that don’t need to be attached to a computer. Today, HP has announced that all of its ePrint-enabled printers are Google Cloud Print Ready, in most cases right out of the box. With a Google Cloud Print Ready printer, you can print emails, documents and web pages from supported apps without having to hunt for drivers or printer cables. You can already use Google Cloud Print on Chrome notebooks and in the mobile versions of Gmail and Google Docs. Many more supported apps are on the way. There are also a third-party Android app, Chrome extension and Firefox add-on to help you use Google Cloud Print in more places. We’re also continuing to release enhancements to the Google Cloud Print service. We’ve released a Mac version of the Google Cloud Print connector for non-cloud printers in the Chrome beta channel. And over the next few days we’ll be enabling printer sharing for current Google Cloud Print users, so your family, friends and colleagues can print their documents from anywhere to anywhere. Imagine printing an important email from your Chrome notebook on your train ride to work, then finding the completed printout in the printer tray when you reach the office. Or printing your airline boarding pass from your smartphone to your home printer, so you can grab the printout on your way out the door. Today, we are one big step closer to this vision. Last year, we launched Google Cloud Print, a service that enables users to print from any device, operating system, or browser to any printer without the need for drivers or a PC connection. The service can be used with any printer, but the most seamless experience is offered by Google Cloud Print Ready devices, a new generation of web-connected printers that don’t need to be attached to a computer. Today, HP has announced that all of its ePrint-enabled printers are Google Cloud Print Ready, in most cases right out of the box. With a Google Cloud Print Ready printer, you can print emails, documents and web pages from supported apps without having to hunt for drivers or printer cables. with a couple of new capabilities, especially for web developers. Fresh from the work that we’ve been doing with the HTML Speech Incubator Group, we’ve added support for the HTML speech input API. With this API, developers can give web apps the ability to transcribe your voice to text. When a web page uses this feature, you simply click on an icon and then speak into your computer’s microphone. The recorded audio is sent to speech servers for transcription, after which the text is typed out for you. Try it out yourself in this little demo. Today’s beta release also offers a sneak peek of GPU-accelerated 3D CSS, which allows developers to apply slick 3D effects to web page content using CSS. Lastly, as mentioned in yesterday's blogpost, those of you on the beta channel will start seeing the brand new shiny Chrome icon on your desktops. Stay tuned as we make all these updates widely available in the stable channel soon! Correction (March 23, 2011): This beta release's Speech API implementation is a prototype of Google’s proposal to the HTML Speech Incubator Group. The title of the blogpost has been changed to reflect this. 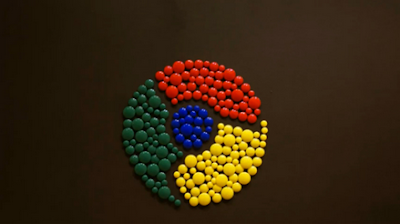 Today, we’re updating the Chrome beta channel with a couple of new capabilities, especially for web developers. Fresh from the work that we’ve been doing with the HTML Speech Incubator Group, we’ve added support for the HTML speech input API. With this API, developers can give web apps the ability to transcribe your voice to text. When a web page uses this feature, you simply click on an icon and then speak into your computer’s microphone. The recorded audio is sent to speech servers for transcription, after which the text is typed out for you. Try it out yourself in this little demo. Today’s beta release also offers a sneak peek of GPU-accelerated 3D CSS, which allows developers to apply slick 3D effects to web page content using CSS. where millions are frantically filling out their brackets and preparing to follow their favorite teams' bids to the national college basketball championship. Luckily, I can use apps from the Chrome Web Store to help me follow the tournament like a pro. Whether you're a loyal fan of your alma mater or college basketball powerhouses, you can get the most current news, scores, videos and photos all in one place with apps like FanFeedr and LockerPulse. If you're watching multiple games at once, don't miss an upset with Are You Watching This?! Sports. This app shows you a scoreboard of all games you care about happening right now. You can also create personalized TV channel lineups for local cable and satellite TV providers that are automatically adjusted to your time zone. You can even relive some of the best plays of the tournament with photos delivered by the Sports Illustrated Snapshot and create your own channels around your favorite college basketball teams. These are just a few apps to help you stay on top of your games and bracket. You can find these and more sports apps in the Chrome Web Store or learn how other Google products can enhance your game experience on www.google.com/collegebasketball2011. For those of you who follow college basketball in the US, today is National Bracket Day where millions are frantically filling out their brackets and preparing to follow their favorite teams' bids to the national college basketball championship. Luckily, I can use apps from the Chrome Web Store to help me follow the tournament like a pro. 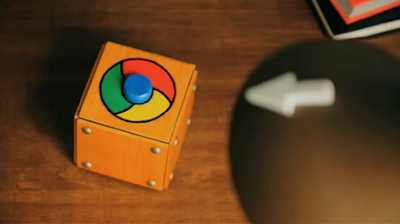 We hope that Chrome’s speed, simplicity and security will continue to make your daily life on the web more enjoyable. 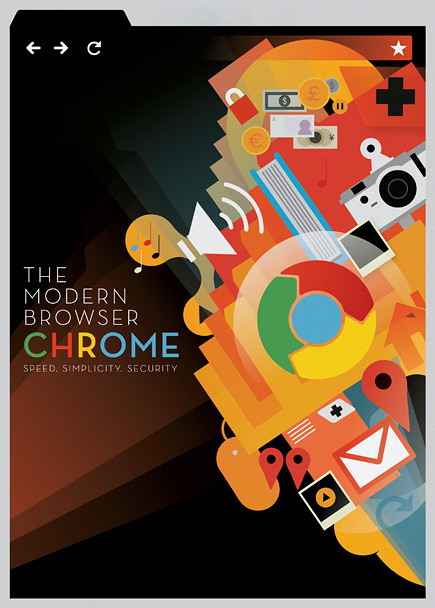 You can download the browser at google.com/chrome, or if you’re already using Chrome, you’ll be automatically updated to this new version soon!